Did you spot the problem with the mailer because I am still trying to figure out why Don Wagner and Mimi Walters are not on here. Let me get this straight, you want me to, “Take this with you to the polls.” I am not going to take this to the polls because none of the candidates on this live within 200 miles of me, am I also supposed to vote in the Nevada Presidential race. 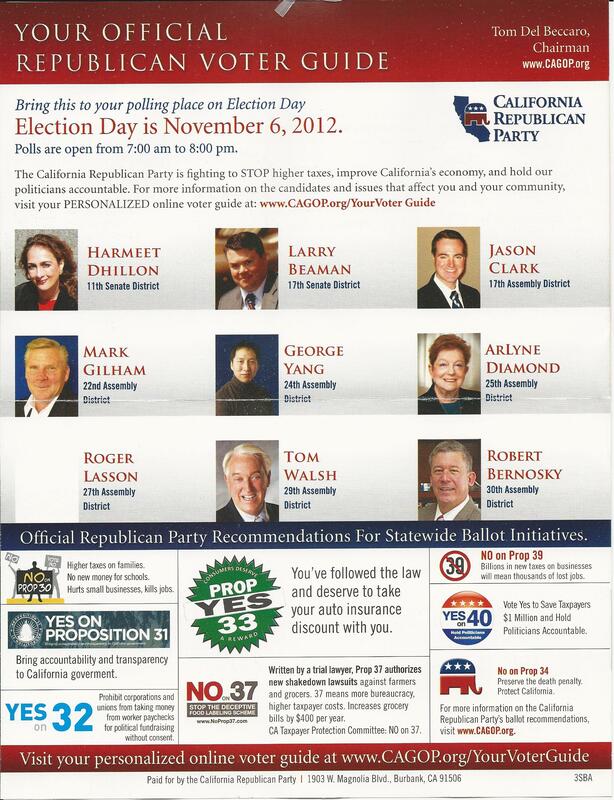 After some investigating it appears that this slate mailer directs you to a website http://www.cagop.yourvoterguide.com/ which is where you can get your personalized ballot. The problem is that 90% of people who get this slate are not going to read it that closely and of the 10% that do only 50% of them will actually go to the website (who wants to do the math on that). After testing the website a bit I also noticed that apparently they have no clue how to include local candidates that cross over into multiple cities. The good news is that none of my Democrat friends have received anything from the CA Democratic Party or the DPOC but if you are going to do a slate mailer you might as well do it right. 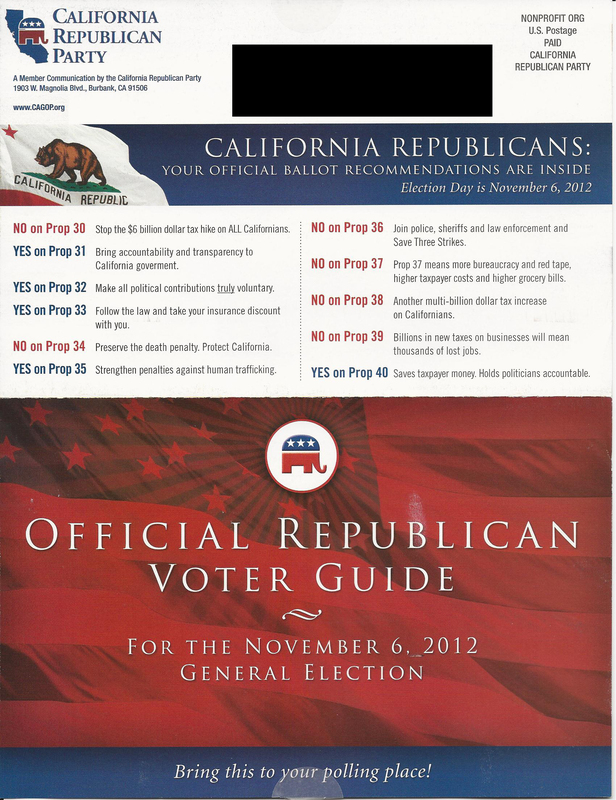 This entry was posted on October 29, 2012 at 8:56 AM	and is filed under California, Mail. You can follow any responses to this entry through the RSS 2.0 feed. You can leave a response, or trackback from your own site.